At Malveau Law Firm, we continually strive to get to know our clients on a personal level and to understand their unique situation. We take care and consideration when dealing with the emotional aspects involved in divorce, child custody and property division. Family law matters are not only emotionally draining but can also be financially demanding as well. Our goal is to achieve your objectives efficiently and effectively. At Malveau Law Firm we are dedicated to moving your case forward and resolving your case with the least amount of stress possible. 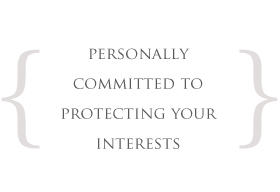 We take a personal interest in you, your family and your future. We invite you to contact our firm and discuss your family law or divorce issue. We can help you bring your family law matter to a resolution, and you can have confidence that you interests will be protected and your goals and objectives will be given the highest priority. It is vital that you protect your interests and consult an attorney about your case as soon as you find yourself facing legal challenges. Let Malveau Law Firm help you navigate through this often difficult and stressful time.